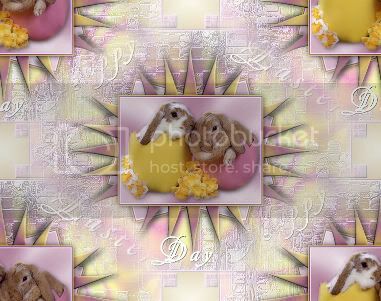 8/ Activate and Copy the created image with the bunnies and Paste as New Layer on your Image. It’s in the right place. I hope you have enjoyed making it.